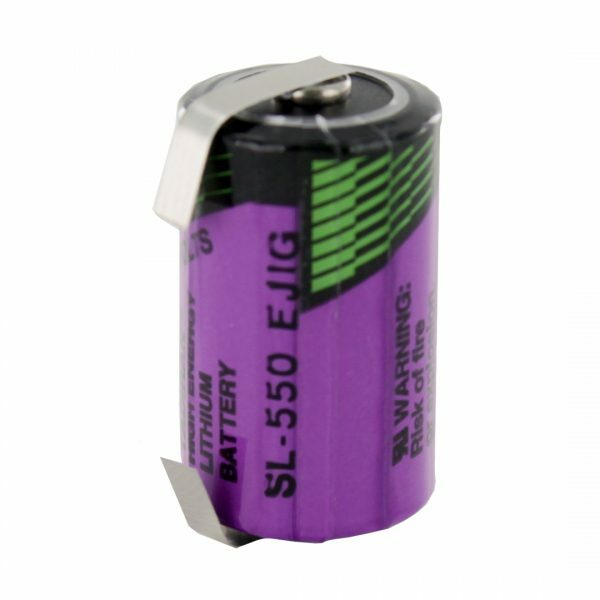 The Tadiran SL550/T is a tagged 1/2 AA size high temp lithium battery, which is designed for low current applications. This product particularly excels in High Temperature applications, as these cells have an operating temperature of -55ºC to +130ºC. If you need an alternate termination on this battery, please see the related products section. 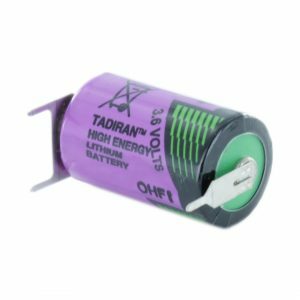 These Tadiran Batteries are known for their high energy density and high terminal voltage. 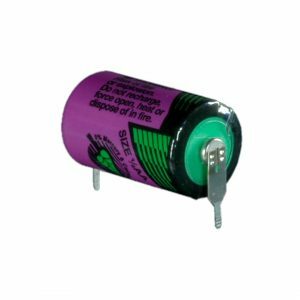 They have an extremely low self discharge (less than 1% per annum) and cases on these batteries are hermetically sealed to ensure protection against leakage. The SL550/T may also be known as the alternative part number TLH5902/T. Please Note: The SL550/T is a special Tadiran cell which potentially has a long lead time for us to obtain. If we are low or out of stock, please get in touch to be advised on availability.